Value chain analysis is well-known for seeking the most significant competitive advantages especially for business organizations. Feel free to see the basic definition and some examples in this article. 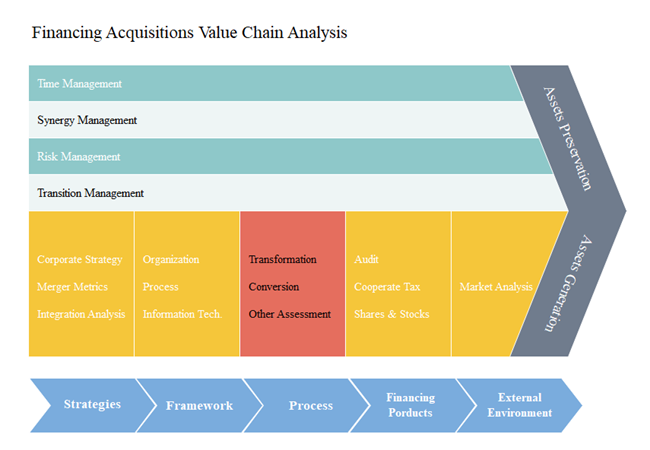 Value chain analysis (VCA) is a series of steps, such as product design, purchasing and distribution, to be used for analyzing how business organizations identify their dominant valuable factors and activities for related product or services. The basic unit of value chain analysis is an individual value chain, which reflects the internal business engagements during the development of products. The theory was originally pointed out by Michael Porter who studied the differences between primary factors and supportive aspects in terms of business management. Generally, the main purpose of VCA is to be cost-effective, increase differentiation and improve competitive advantage. For example, if a firm competes through cost advantage, it will run at lower internal costs than its competitor would do. Therefore, the firm can be able to earn considerable profits based on such competitive advantage. Furthermore, a good value chain analysis would bring successful marketing strategies and enhance customer loyalty in the long-term. The two dominant sub-categories of VCA are: Primary Activities and the Supportive Activities. Primary Activities - These are mainly about functions used for the conversion and distribution of input and output. Furthermore, such activities usually include the following aspects: the inbound logistics; the operations; the outbound logistics; the marketing and sales; the service part. Supportive Activities - Theses are used for assiting the primary ones to achieve goals. Typical supportive activities include the procurement; the technology development; the human resources management; the infrastructure system. 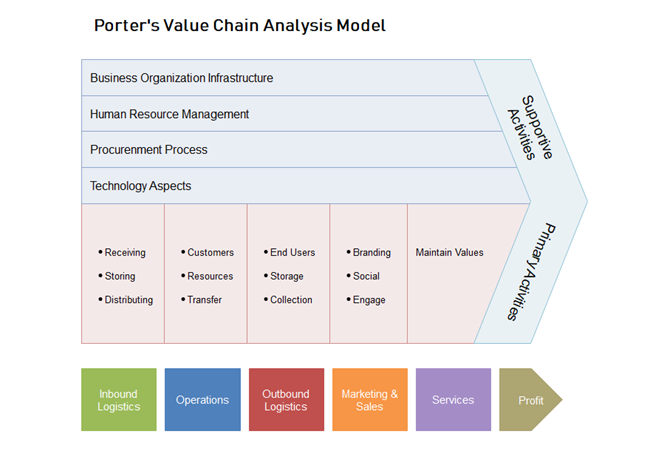 The chart below shows the original Porter's value chain analysis model. Each of the sub-categories is divided into either the Supportive Activities or the Primary Activities. You can clearly check out more details of the primary ones like the management of end users and the distributions of resources. 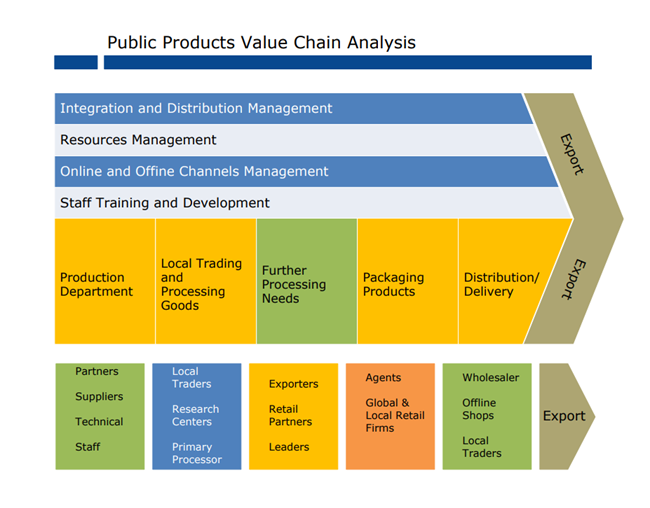 The chart here shows a typical value chain analysis example in public goods sectors. The overall process involves a series of different materials, integrations, partnerships, and management. For example, the distribution and delivery section requires a large number of selling channels and local traders. The financing value chain analysis example below presents the general process of business acquisitions and merger. Normally, such activities are often seen among large-scale enterprises. The financing team should carefully examine a wide range of financing topics, such as assets, stocks and shares, audit and more. Besides, the organizational framework and the external environment are also significant to the acquisitions process. 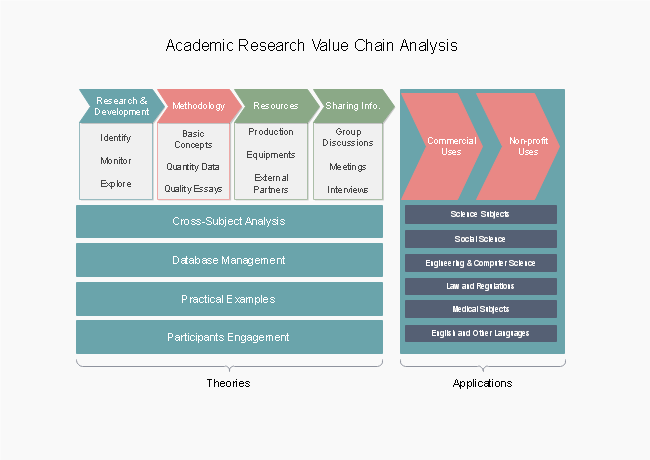 This value chain analysis example reflects the general process and strategies for academic researches. Usually, academic institutions like universities or public research centers carry out programs based on some certain methodologies, resources, and the uses of advanced technology for managing datasets. The final purposes of such researches could be used for real-time applications for both commercial and non-profit sectors. 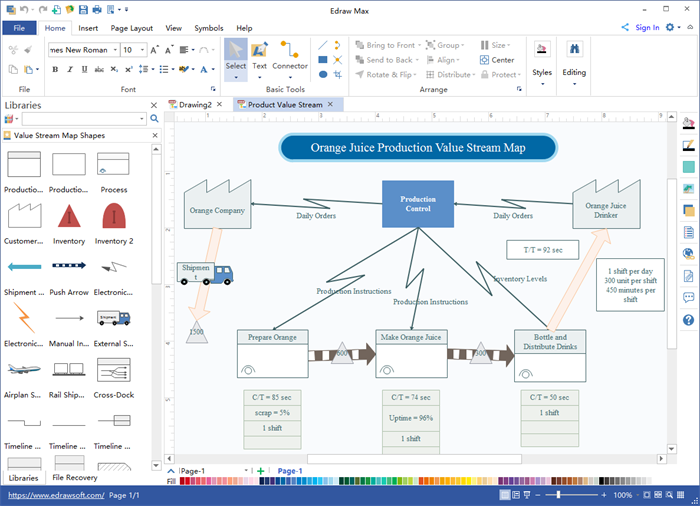 You can easily create any kinds of value chain analysis or other types of business diagrams by using the preset auto-create options to change themes, colors and fonts. Simply drag and drop any built-in business diagram symbols on your drawing board. Have a try right now by clicking on the free download buttons at the end of this page.